Before I spin the details about turning the Kash bar into a little corner of Belgium, let me regale you with a few words about how I discovered Belgian beer. 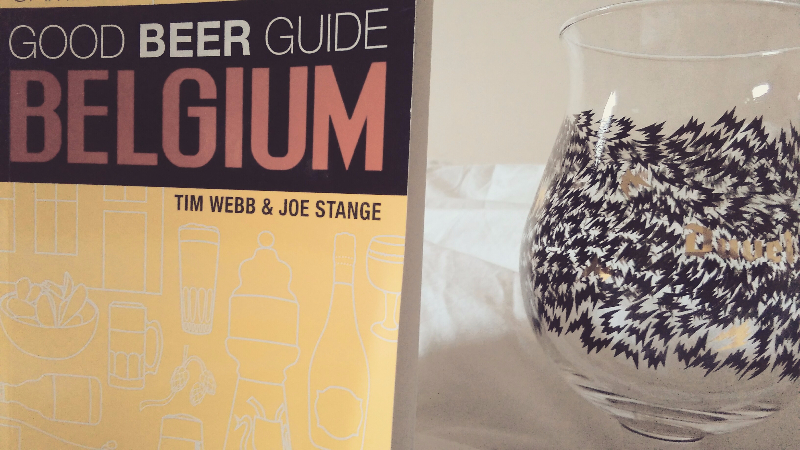 It will inspire you to live the Belgian beer dream – and, dare I say it, embrace the magic. Now Belgian beer holds a very special place in my heart. I can still remember the first time I tasted a true Belgian beer as if it were yesterday. Melanie – my superior other, and high-ranking member of the ‘Tidy Gestapo’ – and I went to Brussels for the weekend back in 2000. After spending some time cruising the cobblestones, I eventually persuaded Melanie I needed a pit stop as I was hangry (hungry/angry) and quite fancied a refreshing beer to lift my dampened spirits. We found a lovely backstreet pub that they tend to do rather well in Belgium and took a pew at the bar. At once the proprietor approached, a rather well maintained lady of a certain vintage, and asked if she could serve us something to take away our troubles. She presented us with a menu of beers, which was actually more like a book, and, feeling weary, I asked if she could recommend something instead. Without missing a heartbeat she suggested a Duvel and off she went. On her return, she placed the rather striking beer glasses on the table and elegantly poured out the golden beer. She fixed her gaze upon me, raised a seductive eyebrow and informed me – in her rather alluring French accent – that this beer was known as ‘the Devil’ and should be handled with care. And with that she sashayed off into the distance and a love affair began that has lasted until this very day. Don’t drink too many, though. The hangover is, well, hell. The Lowlander Beer Fest will showcase 25+ Belgian/Belgian inspired beers. Several of these beers will be served in their matching glassware – for those who, like in Belgium, will leave a deposit in the form of a shoe! The fest starts at 4pm Friday 11th December, ending sometime Sunday morning. Entry is free. Come see why so many people say that Belgium invented craft beer, and drink some history. In my spare time I like to grow fat and lose my hair. I’ve fathered three children and I’m legally married to a woman whose name escapes me. I’m currently travelling along an evolutionary arc – beard, beer, birds, bicycles – which will inevitably lead to a love of military history.